additional monthly revenue, whilst helping your tenants and landlords. We're proud to be ranked the #1 bills package provider on Trustpilot by our customers. What is Billing Better and how does it work? Setting up bills is just the beginning. Managing household bills is a monthly burden that tenants have to deal with. 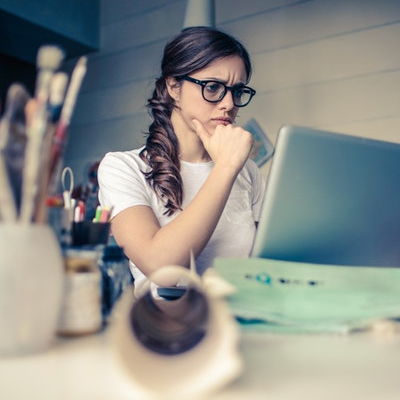 Billing Better ensure that all bills are set up within a property, managing the monthly administration that comes with household bills and rolling all payments into one simple monthly direct debit for the tenants. Our aim is to help tenants move from home to home with ease, whilst providing a fantastic level of service blocking out the noise that comes from utility suppliers to enable tenants to live their lives stress free. Having a dedicated bills manager: Our account managers create WhatsApp group chats with tenants to ensure all bills are dealt with and are on hand for any issues. Understanding usage: No one wants to be stung with a bill at the end of the tenancy. Our team track usage to try to ensure this never happens to our tenants. Rewarding Renting: LifePerks and free Netflix for Billing Better, what more could you ask for? ...and ensure landlords worry less. It's not just the tenants we take care of either. We know that landlords worry about utilities, particularly when they are not set up or paid for properly. Billing Better ensure all bills are set up and paid for correctly throughout the tenancy and as tenants leave their properties. Is paying bills during void periods a pain for you? Ask the Billing Better team about our void management scheme which pays your energy bills during voids. schemes, all of which deliver additional revenue to your business. Offer Billing Better to your tenants as they sign their tenancy agreements. No involvement from you after this. Revenue: Average of £60 per tenancy. Seamlessly begin offering your properties with bills included. Your own Billing Better account manager and online portal. Revenue: From £240.00 per tenancy upwards based on the size of the property. Access to your own Billing Better portal to sign tenants up. Billing Better work with tenants. Revenue: Average of £100.00 per tenancy. Billing Better are the #1 rated bills package provider on Trustpilot. Direct communication with tenants means less inbound calls to you. The revenue earned from Billing Better can replace and exceed tenant fees. One portal to see all current properties and be able to add new properties. Billing Better pay for the energy bills within void periods * Bills Included Plan. All bills set up and paid for during and by the end of the tenancy. What happens if tenants rack up a big energy bill? Billing Better work with tenants throughout their tenancy to ensure that usage is understood and explained. Tenants know that if they use too much energy their bill is increased, likewise if they use less then they can get a refund. Who deals with customer issues, for example if internet stops working? Billing Better. We create WhatsApp group chats with tenants to provide the most simple and straightforward communication with a real UK based account manager (no chat bots). How does your void management scheme work? If you use our Bills Included package, we will pay for the energy bills within your properties during any void periods for up to 28 days. Bills included is just for students, isn't it? No! We're finding more and more professionals sign up to our service for the convenience of having all their bills managed in one place. 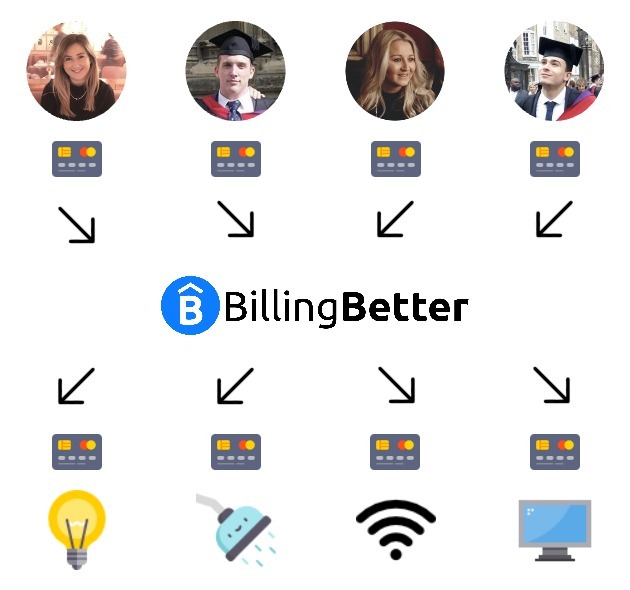 Book a 30 minute demo with the Billing Better team, or send any further questions you have and we'll respond to you within one working day. Billing Better Limited is a company incorporated in England and Wales under company number 10444812. Our VAT registration number is 294821768 and our registered office address is 152-160 Kemp House, City Road, London, EC1V 2NX.